Far Too Many Plants: Coming of Age? It's looking like being a big year here at Brighton Plants. First up is the big box of plant labels sitting beside me here all printed up and ready to go. We've invested in a label printer (a Labelstation Pro 200. Thanks mum!) so no more frantically hand-writing labels as customers gather up their goodies at the nursery gate. Secondly I've got us a card reader (Streamline) so I can take debit and credit card payments too. It was very exciting last Saturday when my first card transaction went through without a glitch. The customer seemed as excited as I was when the little receipts came out with our name on them. So all in all it's looking a lot more business-like around here. The weather's been the big story for all us horticultural folk of course. No frost to speak of but way too much wind and rain has taken its toll on all of us. 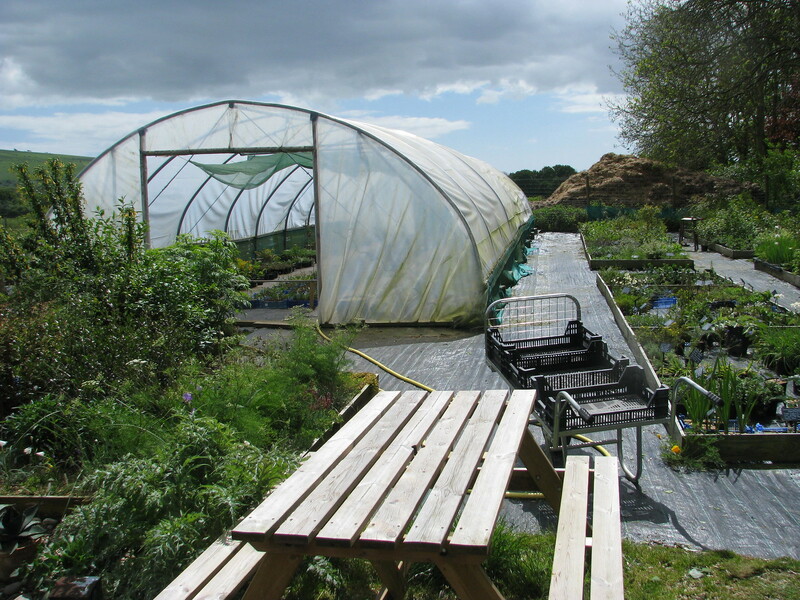 The nursery though is on high ground so the water drains away quickly. Generally the damage was minimal and I'm glad to say the tunnel is well-anchored enough to withstand the gales. It is leaning at a funny angle now though. I was probably being a little over-optimistic when I said I thought the peat-free composts were unattractive to vine-weevils as I've certainly had a few this season, along with the leather-jackets (crane fly larvae) both of which destroy the roots of plants. Still I'm trying to avoid chemicals and am going for biological control as much as possible - Nematodes for both insect larvae and slug and snail control. The one pest I haven't yet worked out how to control effectively is capsid bugs which make a mess of the new foliage of several species but which are quick active insects, not hanging around to be squished or sprayed or parasitised as aphids do. I don't want to have to just spray everything with poison so if anybody knows a good biological control I'd be very interested. As for the plants, which, after all, is the bit you're interested in, I'm continuing to add more rare but gorgeous items from all over the world. Continuing my efforts to bring in more of the strangely untapped Mediterranean goodies for those of us trying to find interesting things to grow on impoverished and especially chalky soils, I have small quantities of the gorgeous Spanish Erinacea anthyllis (aka E.pungens, above) a low incredibly spiky broom which covers itself in violet pea flowers in spring. And speaking of brooms I'm offering Genista aetnensis and two species of Retama (aka Lygos) - sphaerocarpa and monosperma - which are wiry silvery weeping brooms and not at all garish. The former has mustard yellow flowers, the latter has white. Both are generally considered on the tender side but these are from seed collected in central Spain which, if you've been there in winter, you'll know can be bitter. 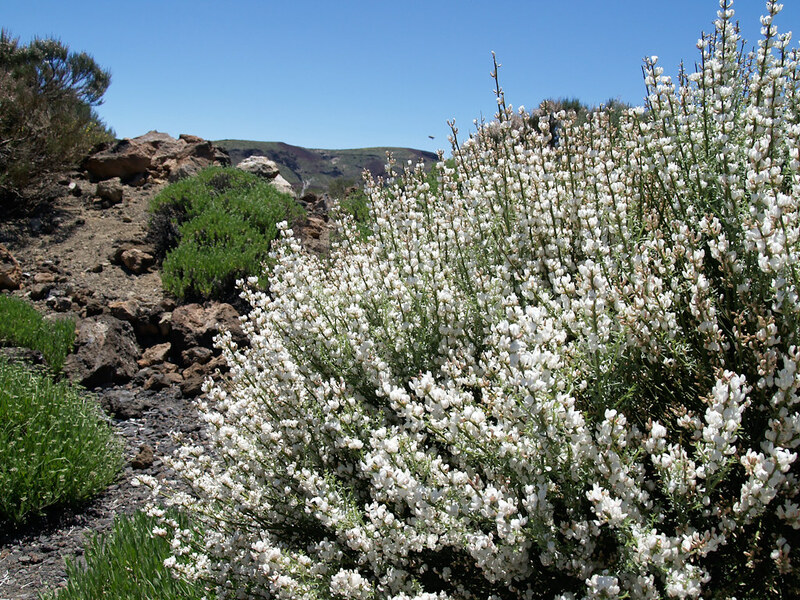 I also have a few plants of Spartocytisus supranubius (above) which is a broom from the mountains of Tenerife which makes dense upright clusters of rather thick silvery grey leafless shoots covered in fragrant rosy white pea flowers in spring. Hillier's manual of trees and shrubs says "remained uninjured by snow and wind for several years in our relatively cold area" so definitely worth a try in a sunny dry spot over here. What else? 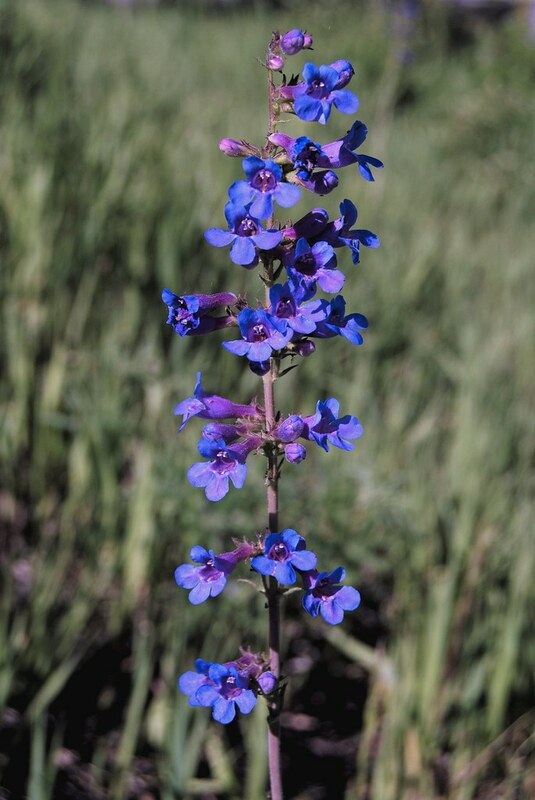 I am persevering with the species Penstemon and Asclepias. Both have proved challenging but I have made some discoveries. Of the former, I've developed a bit of a collection of more unusual species from the easier procerus and serrulatus groups, such as whippleanus and rydbergii, richardsonii and venustus which are all very lovely but I can't seem to resist trying again with the gorgeous vivid blue flowering species of the habroanthus group such as mensarum (below) and hallii. These have proved short lived and part of the problem seems to be that they get into difficulties after flowering. As the new basal growth develops the rhizomes seem to become exposed and wither, but I've discovered that potting them on into bigger pots a little lower than they were so the basal growth is covered with grit or gritty compost seems to prolong their life considerably. 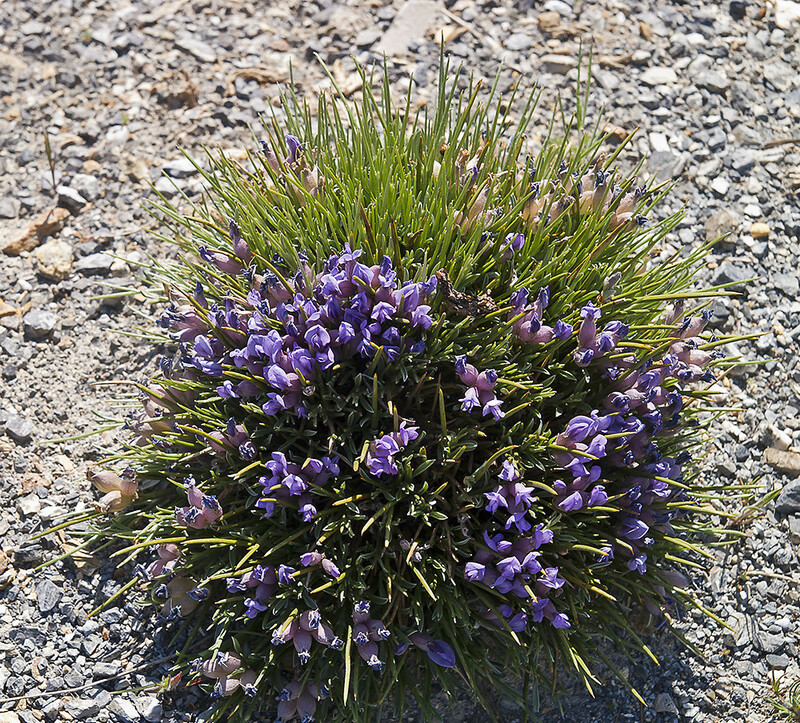 In the wild they are often found as pioneer plants on shifting soils and road sides where they get half buried in shifting soil and in the garden, giving them a gritty mulch could have the same effect. I should point out here that they also hate drying out in their pots. This may come as a surprise - being among the most drought tolerant things I grow. 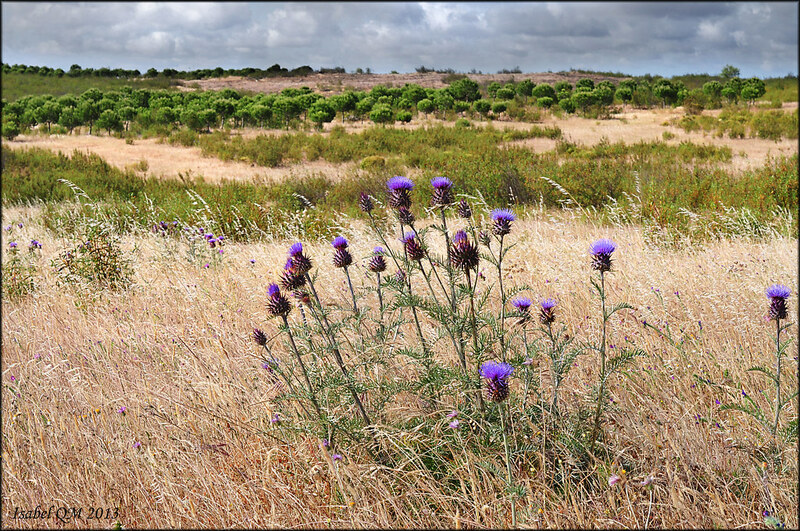 The problem is that plants can be drought tolerant in different ways. Some simply store water (eg. cacti) or have other ways to reduce water loss (eg. bromeliads) but many cope by sending their roots down deep where there is always some moisture, and these, as you might expect, do not cope with drying out in their pots at all well and that includes my Penstemon. Potting them on each year helps a lot. 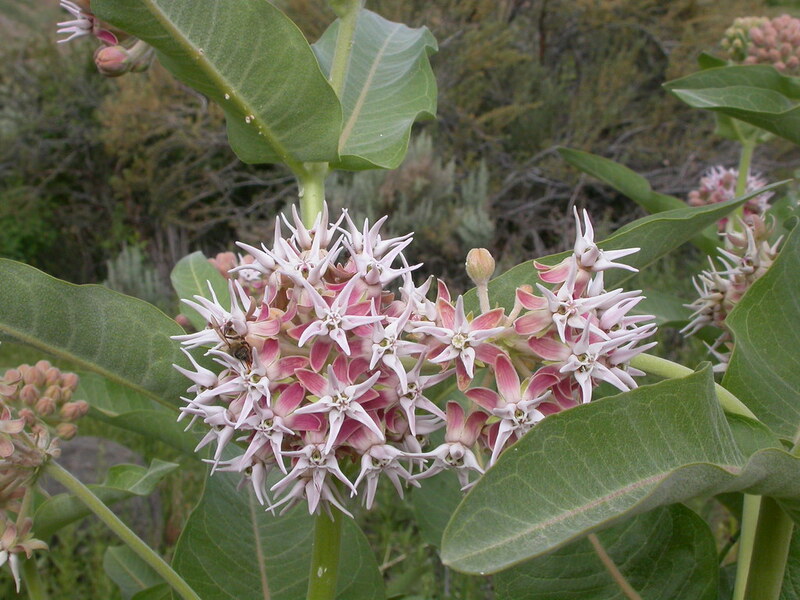 Asclepias - especially the more western arid growing ones have been succumbing to some horrible black lurgy and I have nothing much to sell at the moment. Something Barry Clarke (the national collection holder) said made me think that they dislike being in small containers so I've potted my remaining plants on into really big pots and already they look happier. Getting them out into the open garden would be even better. 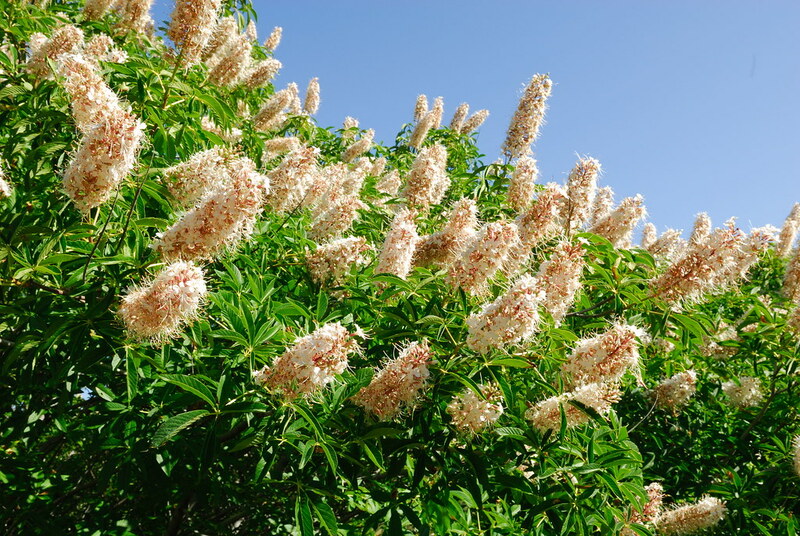 Other things coming along swiftly but not yet listed include Aesculus californica - the Californian Buckeye (that's Horse Chestnut to us Brits) a phenomenal large shrub with good foliage and pale bark and fat white scented 'candles'. Hardly ever available in the UK except sometimes grafted onto A.hippocastanum, I imported a lot of conkers last autumn, got almost 100% germination and they're already about 8ins high. This will be an excellent opportunity to get this fabulous plant more widely grown over here. Completely hardy given a sunny well-drained site by the way.